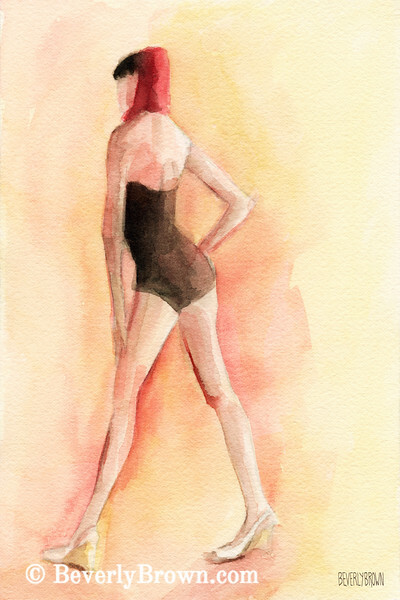 Buy A watercolor painting of a model in a retro style bathing suit and a snood. One of a set of three paintings. © Beverly Brown.